The animal card set offers more than simple identification. Matching pairs of cards show animals in both photographs and drawings. 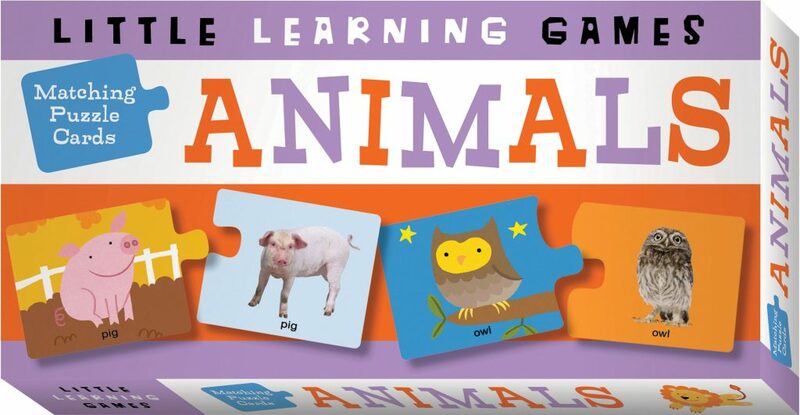 Kids must learn to recognize the animals’ features in both formats and put them together. Animals featured include horse, cow, sheep, goat, pig, fish, and chick.